Scientists are still struggling to find the communication between the microbes and the brain, but the results are clear, in that they speak the same language. The bacteria can influence the way that the central nervous system utilises the neurotransmitters serotonin, norepinephrine and dopamine. The gut sends signals via the vagus nerve, although it is not clear exactly how this works, but it is believed that the gut bacteria can communicate with the brain in various ways, calling it our second brain. Some of the different types of bacteria create neural messengers which influence cognitive function. For example, the bacteria Bacillus makes dopamine and norepinephrine, and Enterococcus makes serotonin which are the ’feel good’ hormones in the body. On the negative side, bacteria such as Escherichia coli and Campylobacter can alter the brain chemistry to cause depression and dark moods. If you are suffering from depression it may be advisable to have your gut bacteria checked out by a nutritional therapist or by taking lots of pre and probiotics (see below). 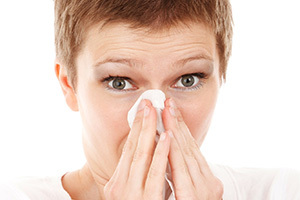 Often anti-biotics, harsh environmental household cleaners, NSAID’s (Non Steroidal Anti-Inflammatory Drugs) such as paracetamol or Ibrupofen, or indigestion tablets can damage or kill friendly bacteria, opening us up to infections or/and a lowered immunity. Probiotics are always advised to take after a course of anti-biotics. i, shaved and tossed into salads or slaws, into pasta dishes, or served as part of a mezze. Leeks, onions and garlic. 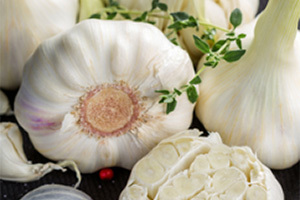 Add to soups, sauces, curries and stews whenever possible. Asparagus. Add the spears to your poached eggs in the morning, in salads or just simply sauté with garlic, mushrooms and chicken for your evening meal. Flax seed. Try adding 1-2 tablespoons of milled or crushed flax seeds (linseeds) to foods or smoothies each day, or sprinkle over breakfast foods such as porridge or yogurt. You can also add to stews or incorporate in home baking recipes. 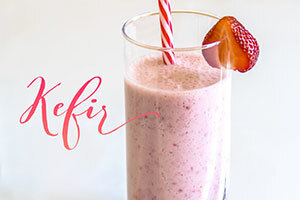 - Kefir. Kefir is an old Turkish word, meaning ’good life’ or ’long life’. Kefir is a delicious drink with naturally occurring live bacteria which are cultured in organic milk through the fermentation process. It takes up to 5 days to make a batch and each half litre will on average contain about 20 billion live bacteria. Kefir is believed to support intestinal infections, regulate digestion, have an anti-allergic property, support immunity and generally make you feel good. By eating this delicious slightly sour, creamy but very refreshing drink, you are constantly increasing your gut flora. - Kombucha Tea. The first recorded use of Kombucha originated from China in 221 BC during the Tsin Dynasty and was known as the ’Tea of immortality’. Many years later a Korean physician called Kombu treated the Emperor Inyko with the tea and took his name, ’Kombu’ and ’cha’ meaning tea. Kombucha starts out as a sugary tea, which is then fermented with the help of a SCOBY (Symbiotic Culture of Bacteria and Yeast). The SCOBY then feeds off and absorbs the sugar, producing a naturally fizzy and refreshing fermented drink. On first glance at the SCOBY, it is very strange looking but it seems to act like a plug, a jelly like layer on top of the kombucha, maintaining a specific environment inside the jar, almost like a mobile home for friendly bacteria and yeast. There are unfortunately little scientific evidence available that would validate the beneficial effects of kombucha for humans. However, the small evidence that there are points to a distinct benefit for detoxification, anti-oxidation, energising potencies and an increased immunity. This probiotic beverage produces advantageous by-products such as glucoronic acid, gluconic acid, lactic acid, acetic acid, butyric acid, malic acid and is usnic acid; vitamins, particularly B vitamins and vitamin C; as well as amino acids and enzymes. In lab results, kombucha was shown to protect against stress, improve liver and kidney function. Many people of all ages have found improvements such as the metabolism of the body normalising, bringing it back into balance and generally giving them zest for life. Other perks that have been noticed are increased intestinal flora (which improves immunity), cellular strengthening, improved skin conditions such as eczema, a general antibiotic effect and a balancing of the blood pH. - Yoghurt. Especially yoghurt made from goats milk and infused with live culture. Be careful which one you choose though as yoghurt advertising probiotics, when under inspection usually are laden with sugar. Choose a natural one with no added sugar, honey or sweeteners, or make your own. - Sauerkraut. Made from fermented cabbage (and sometimes other vegetables), sauerkraut is not only extremely rich in healthy live cultures, that might also help with reducing allergy symptoms. Sauerkraut is also rich in vitamins B, A, E and C.
- Kimchi. An Asian form of pickled sauerkraut, kimchi is an extremely spicy and sour fermented cabbage from Korea. It is also rich in beta-carotene, calcium, iron and vitamins A, C, B1 and B2. Other probiotics which you can purchase are microalgae (spirulina, chorella, blue-green algae) which will offer a great amount of energy boost to your day. Miso soup, a traditional Japanese dish/medicine made from fermented rye, beans, rice or barley which is extremely nutrient dense and is believed to help neutralise the effects of environmental pollution, alkalinise the body and stops the effects of carcinogens in the system. 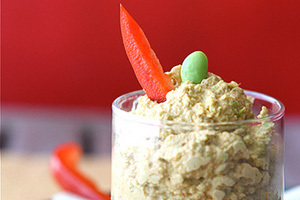 Tempeh, fermented from soy beans, is a fantastic source of vitamin B12 and is a substitute for meat or tofu. You can also buy over the counter probiotics. These are best bought from a reputable health store and not supermarkets or chemists as the active ingredients are debatable as to what it actually contains. Dependant on what you want them for I.e. Diarrhoea, yeast infections etc it is advisable to get some expert advise from a nutritional therapist. Otherwise if you just want to repopulate your gut with more bacteria, or you have had a course of anti-biotics, then choose a multi-strain with at least 2 billion. Most of them will need refrigerating so follow the instructions. The latest guidelines state that eating 7-a-day portions of rainbow coloured fruit and vegetables will keep you from declining in health and also build up your friendly bacteria. BANT (British Association for applied Nutrition and Nutritional Therapy) explains that by having 5 portions of vegetables and 2 portions of fruit a day you may provide hormone balancing, anti-cancerous, anti-inflammatory, immune health and cell protecting properties within the body. This would benefit brain, prostate, vascular, eye, skin, heart and reproductive health. 7-a-day can sometimes be quite difficult to achieve, therefore consider smoothies or vegetable juices to achieve this. Everyone is individual and their digestive system may respond differently to fibrous foods and new unfamiliar drinks. Be sure to introduce new foods slowly and find the foods that work best for you!